Time to fly the Union Jack on the Avenue des Champs-Élysées! With his fantastic 2012 Giro d’Italia victory, Ryder Hesjedal became the first Canadian to win any of the three Grand Tours. It’s been a long time coming for Canada considering that both the French and Italian Tours are over 100 years old. It was not until this year’s Giro was playing out that I realised that Ryder was making history. In fact on Stage 7 Ryder claimed the Pink Jersey and this momentous occasion was a first for Canada in the Giro. Hesjedal held on to the jersey for two days until finally reclaiming it in the final TT in Milan. Canada is proud to be a member of the British Commonwealth and the country retains many close links to Britain. Also of course Australia, another member of the British Commonwealth, succeeded in claiming their first ever Tour win last year with Cadel Evans in Yellow on the Avenue des Champs-Élysées. The time is ripe for the old country to step up to the plate and claim its very first TdF win. When I started cycling in the 1960’s our training and club rides would often take us down to the Kentish South Coast. On the white cliffs of Dover you can see Calais in France (on a clear day) across the English Channel. At this point the Channel is at its narrowest and it is just 21 miles between the English and French coasts. Right from my early days in cycling I was drawn to racing and in particular became enamoured with the mainland Europe Pro scene. It was painful to learn of Britain’s dismal history in the sport. How could this be, we are not that far away? For young people the 1960’s were an amazing time of dynamic change. In our British cycling scene old timers led docile club runs and racing mostly meant time trials or track races. However young guys like me wanted to participate in ‘massed start’ races just like those in Europe. 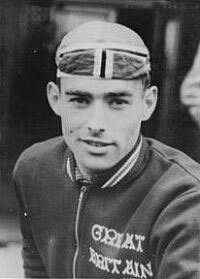 In the summer of 1964 I jumped on the ferry to Oostende in Belgium to spend a vacation racing in and around Gent. To this day I remember that rude awakening. There we were, Cat 1 ‘hot shot’ racers from Kent ready to show those chunky Belgians how to race. Within minutes of the start we were going flat out trying to hang on. When we hit the cobbles it was unbelievable, but the speed seemed to go up. Their bike handling skills were beyond description as they deftly leapt off the road and up the kerb to ride the smoother sidewalk. None of us Brits survived the cruel baptism of our first ‘real race’. After a couple of weeks some of us did manage to finish a race or two, but forget the podium. In 1967 and 1968 I spent both seasons in Gent living my dream of making a living from bike racing. At that time Britain had a wealth of super talent in the top ranks of the elite pro peloton. Barry Hoban, Vin Denson and Tom Simpson were probably the most famous. 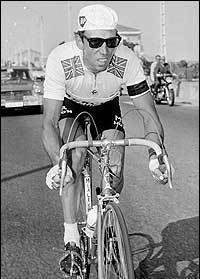 In 1967 we all thought that Britain would at last win the Tour de France. Most days we watched the Tour live on black and white TV’s in shops and bars. Tom Simpson was looking good and each day we eagerly followed his progress. None of us anticipated the horror that would unfold on Mt. Ventoux. After that day many of the British guys in Belgium packed up their bags and went home, probably to never race again. A few of us stayed and wherever we went we were greeted with sympathy by the Belgian and French fans. Tom was greatly loved by the tifosi. 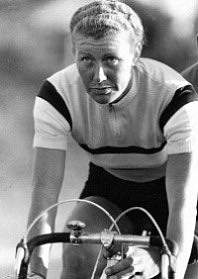 Ironically at that years World’s Beryl Burton won the women’s RR and Graham Webb won the Amateur RR for Britain. Since Simpson four British riders have worn the Yellow Jersey for just 10 days. Nobody has even got close to challenging for the final GC. But in recent times the cycling world has changed incredibly. The globalisation of the sport has seen the very traditional bastion of the European elite peloton penetrated by riders from all over the world. Not so long ago French, Italian, Spanish and Dutch (and Flemish) were the languages of the pro teams. No longer, English is all but the official language in the bunch. In fact while watching the Giro on TV this year you could clearly hear the roadside announcer in Milan commentating in English. So why has there been such a huge gulf between British racing and mainland Europe racing? One theory has it that the explanation goes right back to the dawn of the sport. The first ever bike race was held in 1868 on a gravel track in the St. Cloud park in Paris. 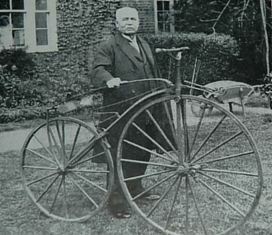 James Moore, an English doctor and cycling enthusiast, won the race on a wood and steel machine. 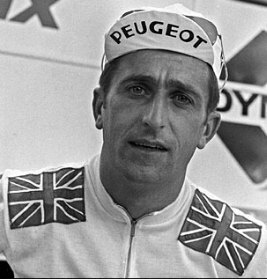 The following year Moore won the first ever road race between Paris and Rouen from a field of 325 riders. It took him 10hrs 25mins to cover the 130kms which is testament to the roads (mainly used for horse and cart traffic) and crude bike technology which was still in its infancy. Moore continued with his winning ways as did other famous British riders of the late Victorian era. During this time technology was evolving and pneumatic tires, ball bearings and many other bike elements were invented or radically improved. As a result the bicycle rapidly became a machine for the ‘common man’. In Britain (and most of Europe) the average person rarely travelled more than 25 miles from their home their entire life before motor vehicles took to the roads. The British landed gentry and aristocrats ‘owned’ the countryside and did not like seeing increasing numbers of ‘working class’ people invading their territory on bicycles. Up to WWI the wealthy ‘ruling class’ held sway with incredible power and the National Cyclists Union (NCU) fearing a total ban for cycling on the open roads of Britain banned all road racing. This draconian step limited racing to velodromes and closed circuits. Incredibly this ban survived into the 1950’s. No such ban happened on the other side of the channel and eventually Grand Tours and classics started to appear and professional cycling took root. British names did not feature amongst the stars of the sport. Attempts to restore road racing (massed starts) in Britain began with a break-away group called the British League of Racing Cyclists (BLRC) in 1942. These renegades battled fiercely with the NCU for years. Eventually in 1959 the NCU and BLRC were merged under considerable political pressure from the UCI to form the British Cycling Federation (BCF). However, over a time span of 70 years, Britain had firmly created a cycle racing culture that did not include road racing as we know it now. My generation quickly erased the past and set out on the steep learning curve to replicate European style road races that soon appeared in large numbers around the country. Hoban, Denson, Simpson and even racers like me were part of the first real generation of British road racers to attempt their luck in the famous races of mainland Europe. A common denominator was that the successful riders left the UK and went to live and race in Belgium, France and Italy. Today modern air travel has enabled riders like Ryder Hesjedal to set up base in Europe but also to fly home with some frequency. Having been a racer and fan for over 50 years I still hope to see a British rider finally claim the Le Tour before I hang my cleats up! A decade or so ago British cycling started to invest heavily in developing track racing talent with the Olympics, the World’s and World Records as their primary objectives. They have achieved spectacular success and perhaps the most famous of the riders to come out of this system, Chris Hoy, has even been knighted by the Queen for his services to the country and sport with multiple Olympic and World’s medals. On the road we have seen incredible success in recent years. Just last year Mark Cavendish won the World RR Championship with an all UK team that totally dominated the peloton. The Sky Pro (Road) Team is a UK team that now looks poised to make a very serious run at taking the Yellow in Paris. Their star rider, Bradley Wiggins, was fourth in the 2009 TdF and already this year has won the prestigious Paris-Nice and the Tour of Romandie. He appears to have the drive and the ability to be a major Tour contender. 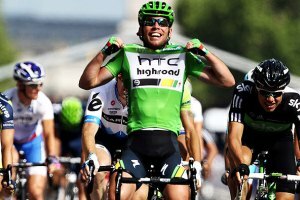 Perhaps the biggest issue for Team Sky will be having Cavendish targeting the Green Jersey while Wiggins goes after the Yellow. This will be a real challenge for their domestiques. But what a feast for British cycling fans. 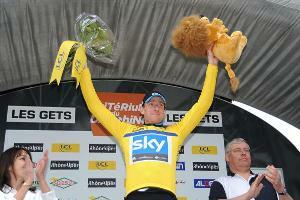 Should Wiggins win Le Tour I will happily hang up my cleats - when that day comes!